Lenoir 'Lee' Keesler is president and CEO of the Charlotte Mecklenburg Library, one of America's leading urban public library systems. Lee provides overall strategic vision, direction and leadership for the organization and oversight of enterprise administration and Library Foundation activities. He also serves as relationship manager for the Library-Mecklenburg County partnership. Prior to joining the Library, Lee served as president and CEO of the Arts & Science Council of Charlotte-Mecklenburg and primarily in wholesale banking leadership roles for First Union/Wachovia Bank (now Wells Fargo Bank). He holds a BA in economics from Duke University and an MBA from Wake Forest University. This episode is perfect for anyone interested in the future of the Charlotte Mecklenburg Library and in hearing about a life of community care and stewardship. Lee describes this time in the library's history and how the library is transforming. He talks about what the community expects from the library and re-framing the library mission. He discusses what is a library, the many different services the library delivers, and the opportunities the library has in the years ahead. He addresses concerns about the homeless and transient people who use the library and speaks to their patronage. Lees shares the vision and 'top of the house' theme for a new main library, the three defining elements that make up that vision, what the main library will 'major' and 'minor' in, and what Maslow's Hierarchy of Needs has to do with it. He identifies the architects who that will design the new main library, what they are being charged to create, and the contributions they are making. He answers how the project for the new main library will be funded, when the library will break ground, and when it will be completed. Lee shares the history of his family in the Carolinas. He reveals the sport he gravitated to as a young man and why he chose his career. He discusses the three chapters of his life that he charted, whether he thinks of himself as a banker, and what motivated him to seek different work. Lee shares why becoming president of the Arts & Science Council was a watershed moment in his life, what he learned about himself as a leader, his strengths as a CEO, and what he could do better. He describes the Lee Keesler we don't see. He explains what the Royal Dornoch Golf Club has to do with heaven. He talks about the books he likes to read and his interest in books about women by women narrated by women. Lee shares what is most important to him. What struck you about Lee's comments? What is a library to you? How are you rooted in your community? How are you a community steward? 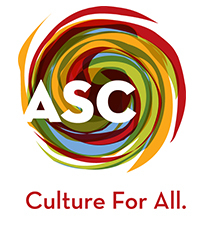 Further support is provided by the Arts and Science Council, Charlotte-Mecklenburg's resource hub and lead advocate for the regional cultural community, providing Culture for All.